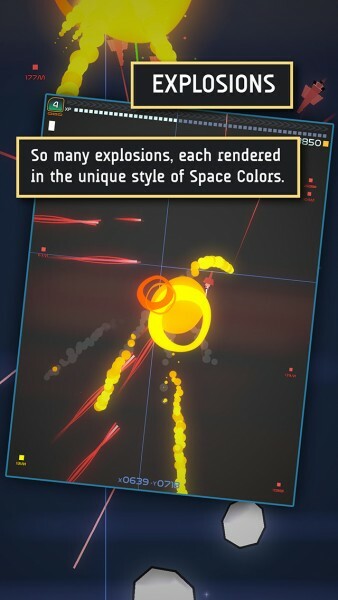 Space Colors ($0.99) by Team Chaos LLC is an explosive space shooter roguelike that will provide you with hours of entertainment because who doesn’t like colorful explosions in space? 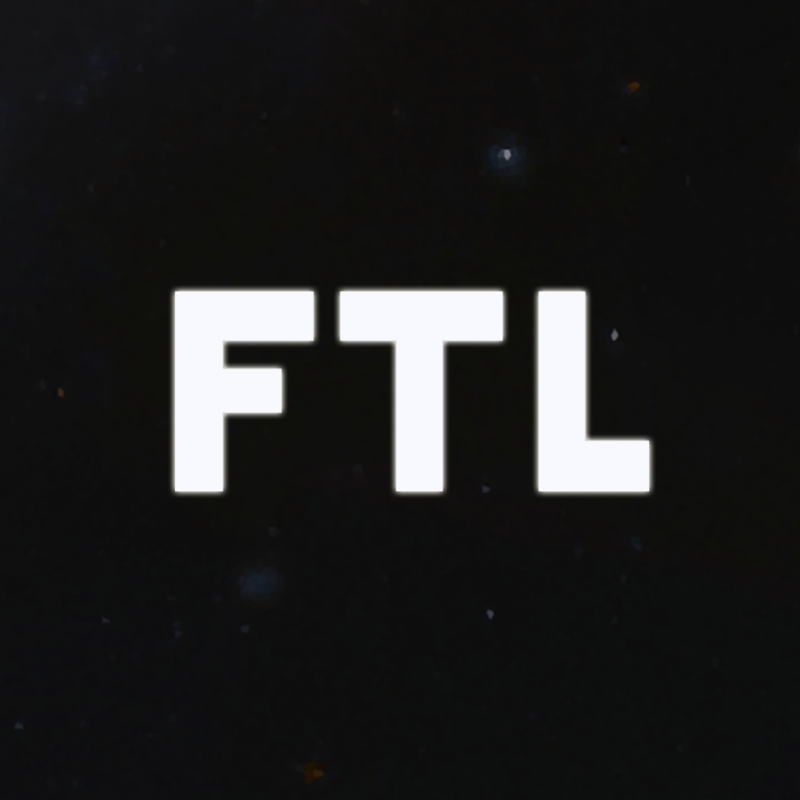 It feels like a hybrid of JoyJoy and FTL. As much as I’d love to see space someday, it probably won’t happen any time soon. So I enjoy turning to video games to get my fix of space adventure — I mean, who doesn’t? There’s just something about flying a spaceship around in the emptiness of space, firing off lasers and blowing things up. 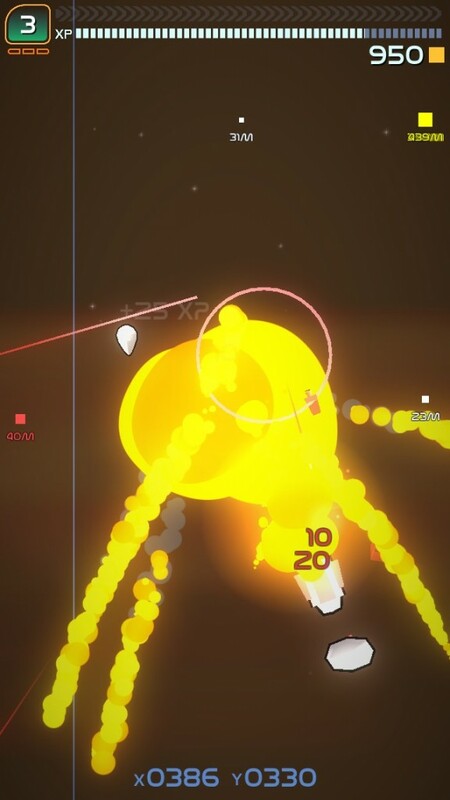 I was pretty excited when I heard about Space Colors a few months ago, and now that it has landed in the App Store, it’s one that shouldn’t be missed if you like shooters and roguelikes. 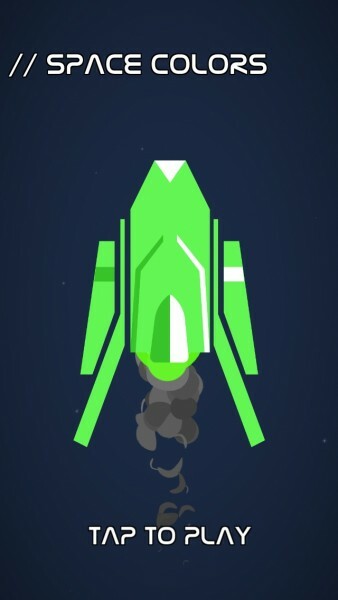 The graphics in Space Colors are what caught my eye, as they’re simple and flat like vector graphics. The map of the various solar systems are straightforward and easy to navigate, and the vast levels are filled with bright, vivid colors as you fly around and destroy asteroids and duke it out with enemy ships and turrets. Animations are buttery smooth and fluid, with no lag on my iPhone 5s. The ambient soundtrack is soothing, and the sound effects are a blast. 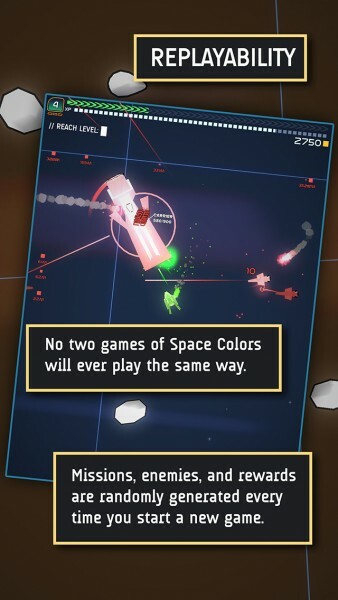 Since Space Colors is a roguelike, you will have to start over from the beginning after you die. However, each game is different, since everything is randomly generated with each new run. You start out in the beginning of a system, and you need to claim each planet before you can move on to the next one. 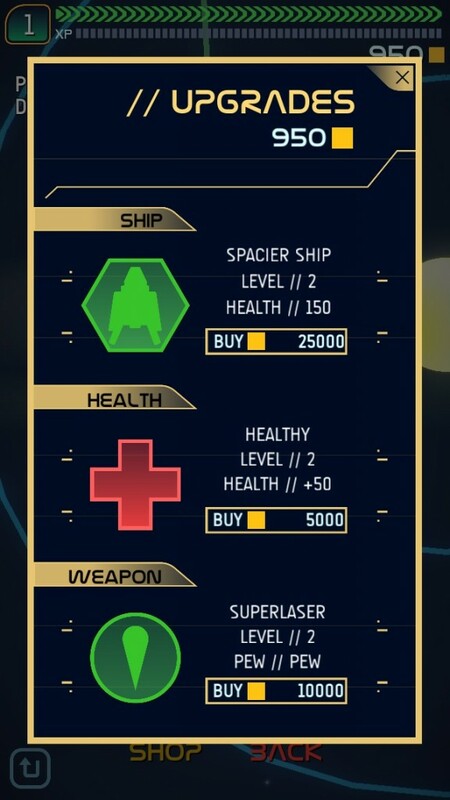 You’ll get a brief about each planet before launching, and all of the missions have different objectives that you need to meet before it’s cleared. Missions will range from just destroying some asteroids to reaching a specific level to destroying turrets and blowing up your foes. 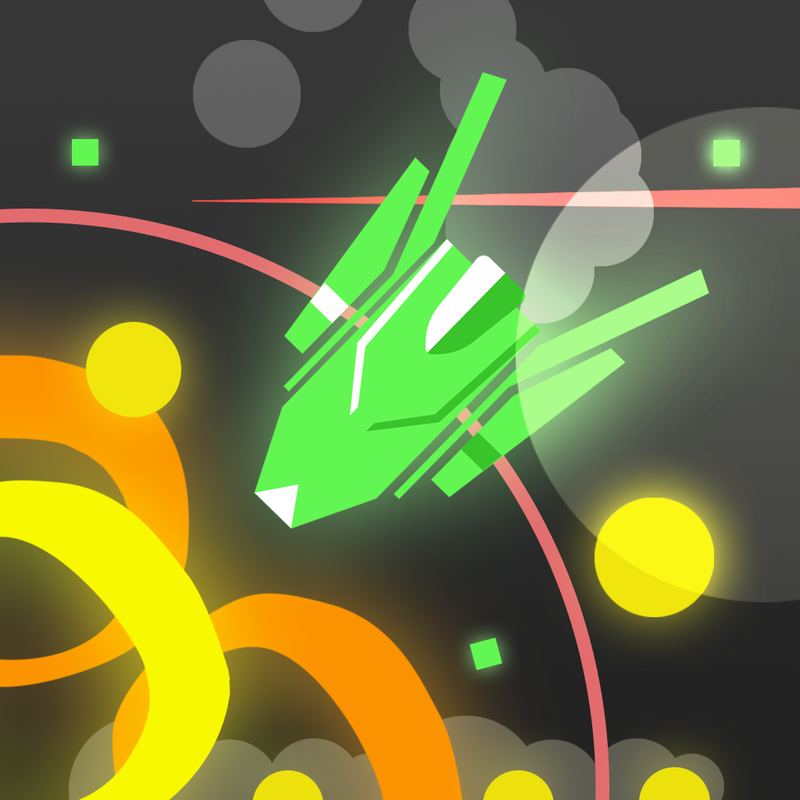 The controls in the game are not like your typical dual-stick shooter, though the game plays like one. Each planet will be a huge area that won’t fit in a single screen, so you be able to fly around to different sectors and quadrants. 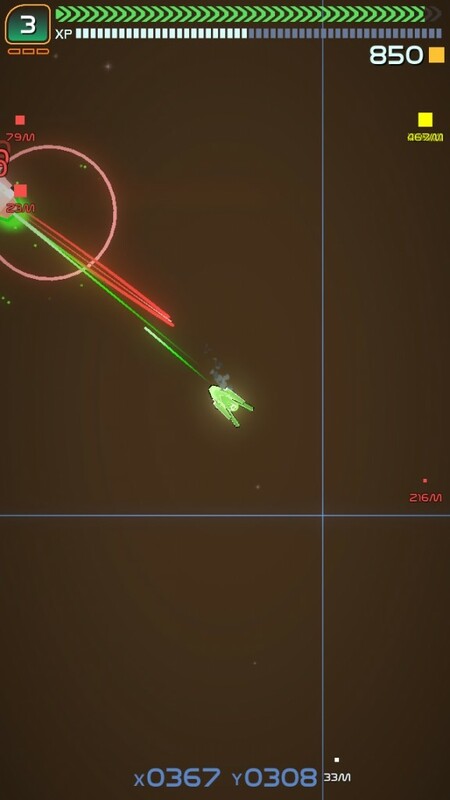 Markers around the screen edges will indicate various objects, like asteroids, turrets, and enemy ships, as well as how far they are. To move around, just tap on where you want to go, or tap-and-hold for continuous movement in a direction. To attack, just tap on your target and your ship begins firing automatically until it’s destroyed. Of course, like all other roguelikes, you’re going to need to be careful and be strategic in order to survive longer. 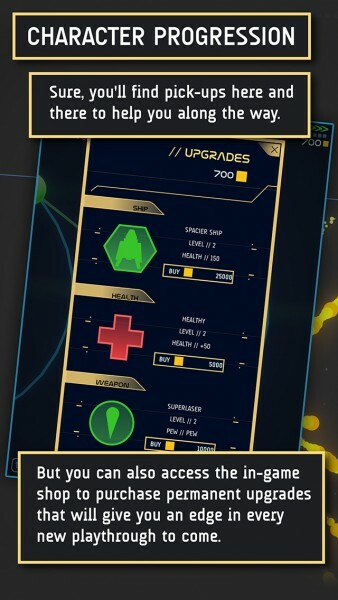 Your health bar is at the top of the screen, and blowing things up nets you experience points for leveling. Keep an eye out for small pick-ups here and there as you play, as they can help keep you alive longer. However, you’ll mostly want the credits that you earn, because these can be spent in the in-game shop for permanent upgrades that carry over into new playthroughs. 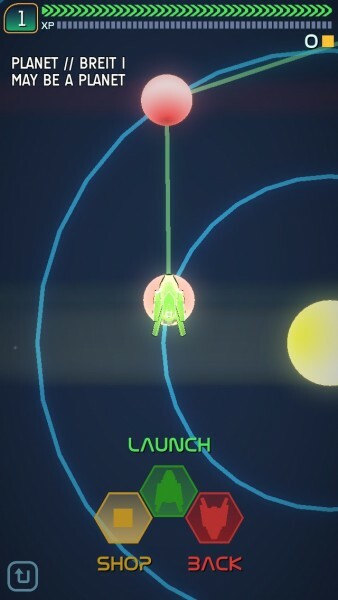 I always enjoy a good space shooter, and the roguelike element just makes this one even more challenging than the rest. I love the visuals since they aren’t like what you typically find in these types of games, and they stand out nicely. The music and sounds are fun, and the fact that it’s always different will keep me coming back over and over. However, while the controls are supposed to be intuitive, I found that it can feel a bit clumsy on the iPhone because I often found that my hand was obstructing my view, especially if I wanted to fly up (I can’t see the incoming dangers well). I think it works better on iPads, but can be improved on the iPhone. I would like to have optional controls, like dual analog sticks, in the future so the experience is optimized. 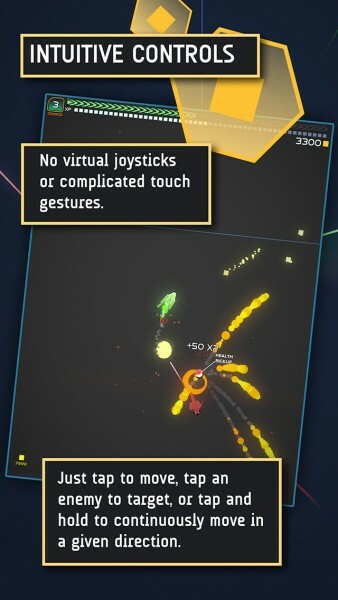 Dual sticks feels natural for space shooters anyway. 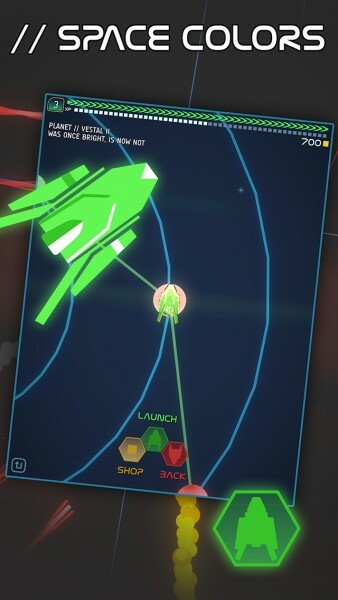 If you’re a fan of rougelike games and need a good space shooter, then I highly recommend checking out Space Colors. 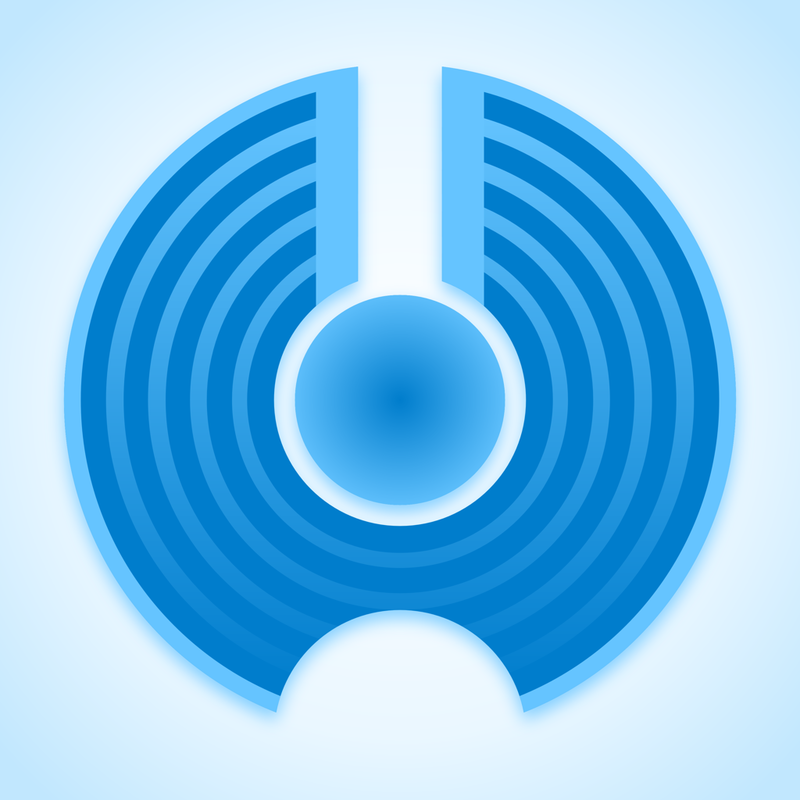 You can get it on the App Store as a universal download for only $0.99.